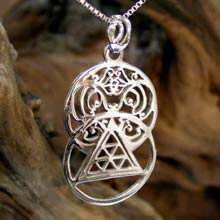 We've decided to start let you take a closer look at some of the intricate craftsmanship involves in creating the designs and Talismans. Nowadays when everything seems to move to printed designs and computer-generated art, I find it more important than ever to keep the traditional manmade craftsmanship alive. Below, you can find videos of the process of making five interesting designs. You are also invited to follow us on Facebook and Instagram where I will share with you, short videos from the process of creating new models and of course, our unique talismans, Enjoy! 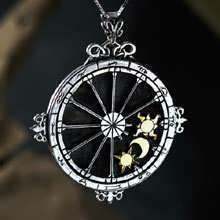 Personalized astrology talisman made according to your birth chart and includes the Sun, Moon and your dominant planet. 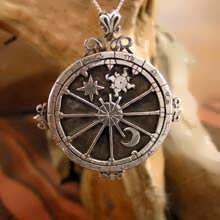 Made with pure intention to encapsulate and reflect who you really are and what you can become. 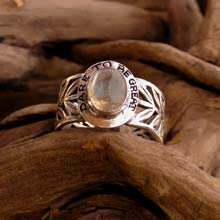 This ring was made as a symbol of inspiration so that one can find the power and will to achieve any goal. The Laurel wreath around the ring is the ancient symbol of victory which was awarded to the winners in the ancient Olympics. 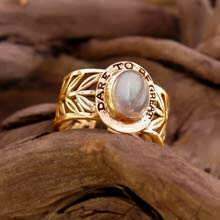 The engraving around the stone says "Dare to be great!". 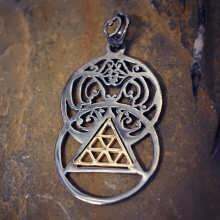 A combination of two powerful symbols - the Vesica Pisces and the Tetractys. The Vesica Pisces or the first day of creation is a symbol of the infinite consciousness, learning and experiencing itself through creation. This simple structure consists of two crossed circles, by which one can extract the geometrical and mathematical laws that represent our reality. Balance the opposites of our nature, purify and unify our soul. 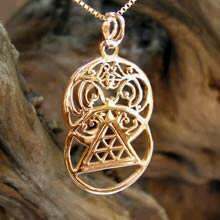 Alchemical Wedding Talisman is related to the alchemical trinity of the Sun, the Moon and the hermaphrodite Mercury (which is considered their mediator). 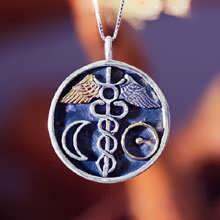 Mercury which is symbolized by the staff of Mercury/Hermes (Caduceus) with his glyph embedded in the center, serves as the connective tissue and reconciling energy of the Sun and Moon. 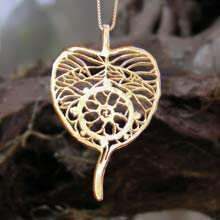 The Dharma Pendant design incorporates the Sacred Fig leaf which is known as the Bodhi Tree. Prince Siddhartha sat under this Tree for 49 days, attaining full awakening and liberation and became the Buddha. 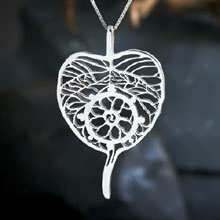 The symbol inside the leaf of the pendant is the 'Dharma wheel', also known as 'The Noble Eightfold Path'. The ancient path Siddhartha found as the way leading to the cessation of suffering (dukkha) and the achievement of self awakening. A unique reminder of the ancient path that exists to break free from the cycle of aging, death, suffering, and rebirth.